A lot of things, mostly negative, seem to be happening simultaneously in the developed global economies of the UK and the US, on the front of immigration. Both these nations appear to be hell-bent on making life miserable for the migrants and create new roadblocks in the latter’s quest to get a visa and move with legal rights. What’s worse is that even some of those migrants, who are already present in these nations, are being asked to leave on certain flimsy grounds. This is another matter that the affected migrant community is not willing to take things lying down anymore even while it is challenging the respective governments using peaceful legal methods and public support system. The good thing is that public support has not dried up for the migrants, especially the skilled ones in these nations. This takes us to the main report! 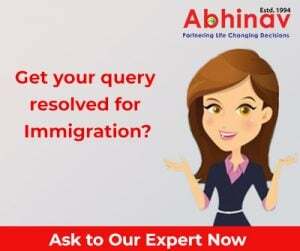 According to it, a large number of the highly-trained professionals of Indian origin are urging the incumbent British administration to re-establish their right to work and other benefits until a current appraisal into their pending visa petitions gets duly completed. The UK Home Office had proclaimed the appraisal sometime before post it emerged that nearly 1,000 trained health practitioners, lawyers, entrepreneurs and engineers from the nations outside the European Union (EU), on a Tier 1 (General) Visa, were being refused the residency rights over reportedly trivial, lawfully satisfactory improvements in their tax returns. As per the available information, London is denying the foreign doctors and medical workers from some specific countries, like India, to offer their professional services in the country even as there is a BIG scarcity of the trained manpower in the state-backed National Health Service (NHS). As per a survey, as many as 71% of the surveyed British people believe that London should instead decide on the visas for the NHS staff, on the basis of what the NHS requires, and to not go by the monthly quota cap on the Tier-2 Visas for the trained specialists while trying to manage the current medical staffing emergency in the nation. The upper limit under the Tier-2 Visa class, to enable firms to usher-in professionals from outside the European Union (EU), is fixed at 20,700 every year, with a monthly limit of nearly 1,600. Until December 2017, on just 1 occasion, in nearly six years, that cap had been surpassed. However, since then, not a single month passes when that cap does not get broken. In a recent letter sent to the House of Commons’ Home Affairs Select Committee sometime back, the incumbent UK Home Secretary Sajid Javid, reportedly, confirmed that cases “falling foul” of the unproven Clause 322(5) of the UK Immigration Act, which relates to a candidate’s “character & conduct”, have been deferred until the evaluation gets successfully concluded. A concerned person or Indian origin, who happens to be the coordinator of the Highly Skilled Migrants group, has, reportedly, urged the UK Home Secretary to give the work rights and access to health benefits of the candidates impacted by this crisis back while the applicants look forward to the outcome of the evaluation. Javid’s letter, reportedly, discloses that from January 2015 to December 2017, 238 candidates challenged the Home Office denial of an application for Indefinite Leave to Remain (ILR) in Tier 1 (General) Class, in the UK courts, via a judicial appraisal, of which 189 were against a refusal on the grounds of 322(5). The said migrants–most of whom are from India, Pakistan and Bangladesh–lose their right to do a job and access to state-supported healthcare while their petition is pending. Extending support to the affected migrants, a Liberal Democrat peer in the House of Lords, who has, reportedly, been heading a parliamentary drive, to support the professionals impacted by the issue, has proclaimed that it is necessary that those, who have lost their ILR, get it back even as the administration must pay those who have lost their jobs & income and reduced to penury. He, reportedly, labeled the Home Office appraisal into the cases–likely to be successfully finished shortly–as a big triumph for the cause justice, adding that the same should signal an end to the unfriendly atmosphere for immigrants in the country.